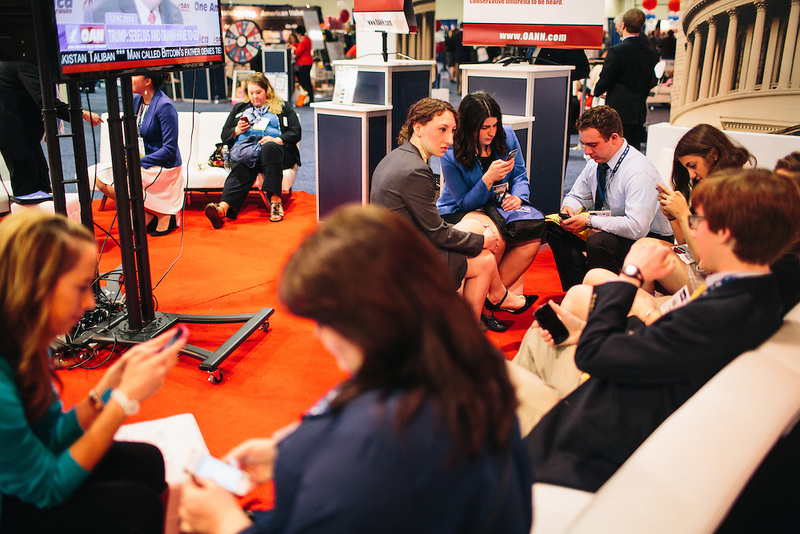 Republican students from Cornell University take a break in a lounge area of the HUB during day two of the Conservative Political Action Conference (CPAC) at the Gaylord National Resort & Convention Center in National Harbor, Md. "The unemployment rate for recent grads is very high," said Jessica Reif, 22, in blue blazer in the center, who explained that young conservatives tend to be characterized by fiscal conservatism. "We are worried about our job prospects after graduation."